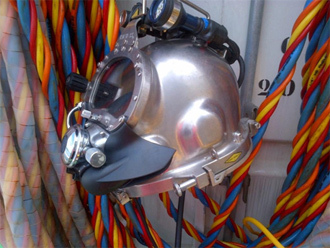 Africa Diving Services (ADS) at present has five complete IMCA compliant containerised diving spreads, three of which are MPN GP compliant (class), Hydra systems complete with twin basket LARS. 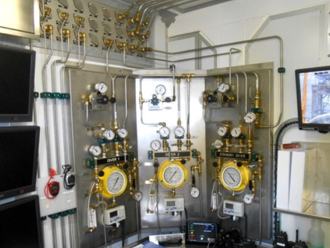 We are expecting delivery of a new system with integrated NITROX supply. ADS has one Rhino 900, two 750s and three 590s with offshore handling and launching frames available for project support activities. 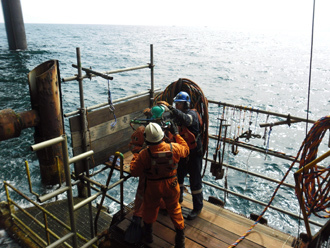 We ensure that we continue with intensive equipment and task familiarisation training offshore as we are fully aware that as a company we are only as good as the personnel that we have working offshore and through continued training we will can ensure that we can offer the best diving teams possible. 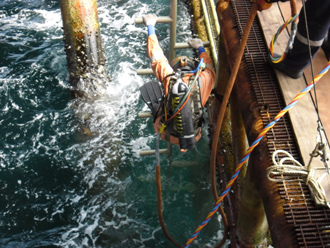 We have an extremely proactive approach to emergency drills and have a compilation of drill reports available showing the broad range of scenarios that we have trained our teams to anticipate. We have an excellent safety track record that we believe is due to a combination of ensuring we have experienced capable personnel supported by good, well maintained equipment and dependable logistical support from the beach. 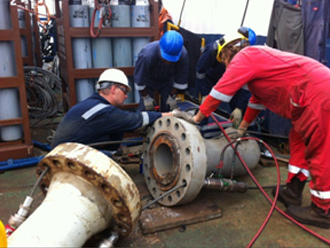 ADS will continue to grow and continue to be the best diving and subsea support company in West Africa. We have an aggressive purchasing plan for 2017/2018 that will increase our IMCA diving spreads to six by the end of 2018, along with additional specialised dedicated tooling containers for hydraulic tools and cutting equipment. 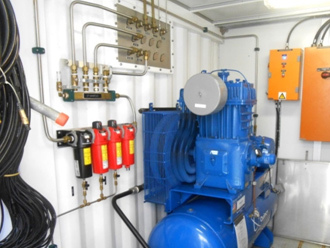 Our purpous built NITROX production unit is fully functional and available in country. The next complete system, expected soon has this facility incorporated. Our ROV fleet has been extended with the partnership between ADS and Marine Solutions to offer three SEAEYE FALCON ROV’s and one Cougar. 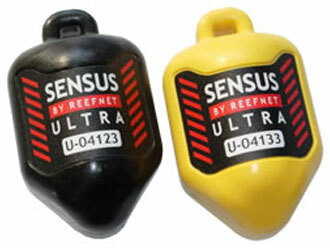 Also for cost reductions to the client as well as a back-up for the main ROV’s we have three VideoRay "suitcase ROV’s". 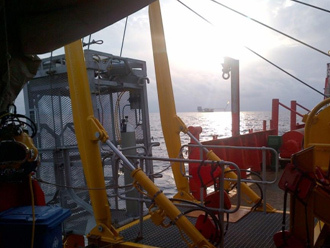 Our ROV fleet assist with diver monitoring, ensuring the utmost safety for our divers. Due to client requirements ADS has purchased ACFM equipment to enhance our inspection capabilities to be used alongside MPI, FMD, UT & CP techniques. 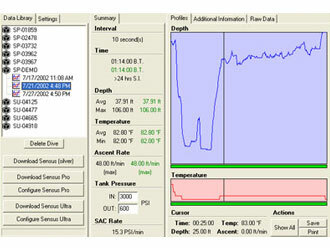 ADS now has full diving telemetry recording with real time sensors for all subsea operations. All information can be downloaded to a computer for further analysis.